I whould like to receive a pump for this product. I just realized that I needed a pump after I received it. 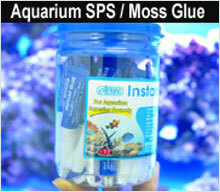 Great Chiller for small aquariums. I have a small ~36L marine aquarium that was susceptible to overheating. Since purchasing this chiller I have not had any issues with over heating. The chiller has been able to maintain up to a 5-6°c temperature difference from the room temperature. If greater chilling range has been required I use an additional fan on the front to increase airflow more. This chiller was an excellent solution to my aquariums overheating problem. This chiller is able to keep the water temperature under 25c in a room temperature of 30+c (with ~500L/Hr water flow). The unit is also reasonably quiet and comes with adequate tubing for installation.